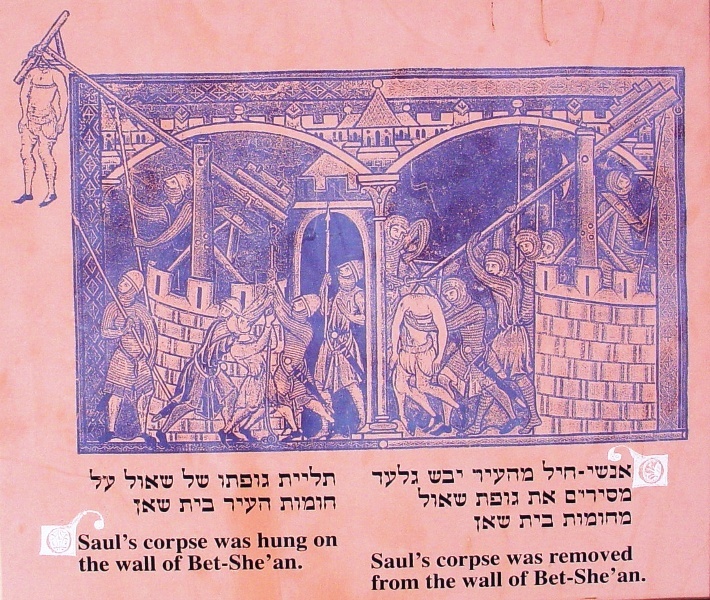 The current issue of BAR features an article entitled, “Was King Saul Impaled on the Wall of Beth Shean?” The author, Amihai Mazar, conducted nine excavation seasons in 1989-1996. Beth Shean. Photo by Leon Mauldin. There were some interesting signs on the top of the tel that commemorate Saul’s death at nearby Mt. 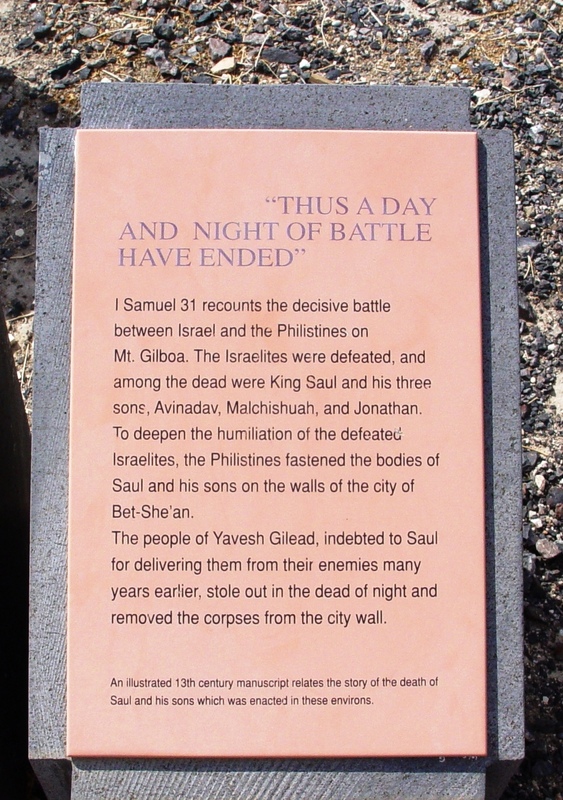 Gilboa, and the fastening of his body to the walls of Beth Shean (1 Sam. 31). Info atop tel. Photo by Leon Mauldin. 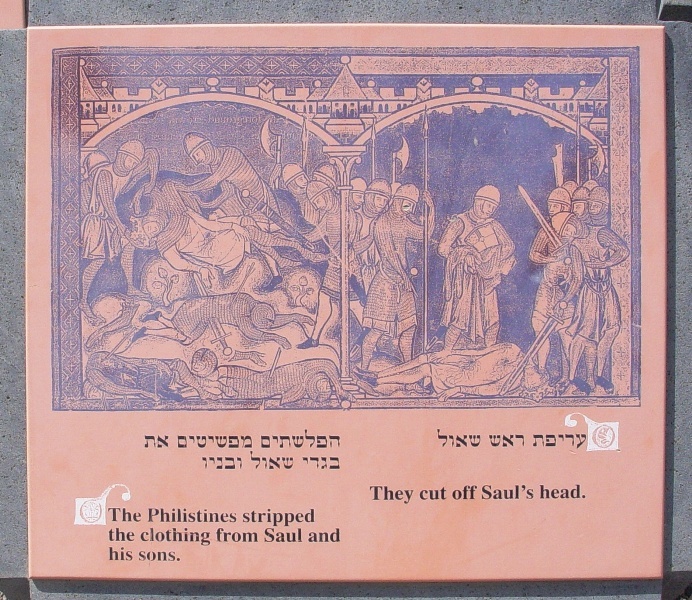 Illustrations of humiliation to Saul's body. Photo by Leon Mauldin. Biblical record is in 1 Sam. 31. Photo by Leon Mauldin. The BAR article explains that excavations have revealed many layers of occupation, including Egyptian. Statue of Ramesses III. 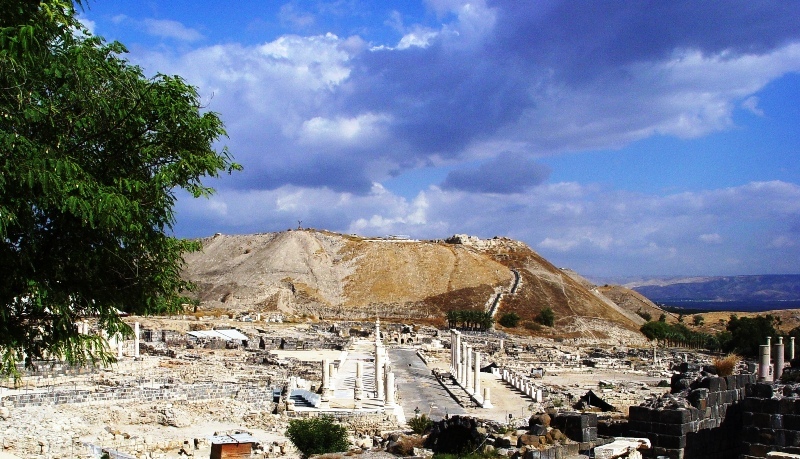 Egyptians occupied Beth Shean prior to Saul's death. Photo by Leon Mauldin. This statue of Ramesses III (replica) marked the Egyptian victory over the “sea peoples” who invaded the land in the 12 century BC. 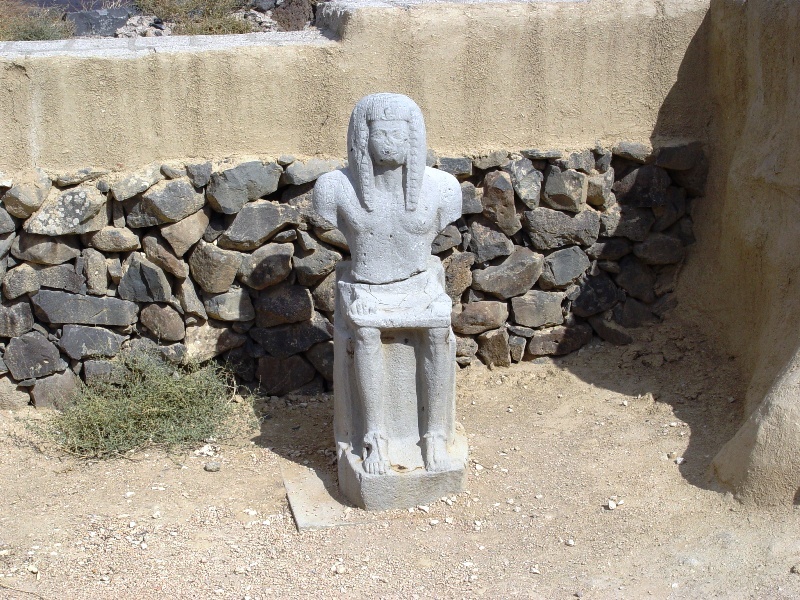 The statue was made locally, in Egyptian monumental style. Original is in the Israel Museum. I have previously written on Beth Shean and its strategic significance here. This entry was posted on Monday, February 20th, 2012 at 11:23 PM and is filed under Bible History and Geography, Bible Study, Israel, Old Testament, Travel. You can follow any responses to this entry through the RSS 2.0 feed. You can leave a response, or trackback from your own site.